L99 is located under E-V13. Listed 24 Feb 2011. L117/Page15 is located under E-L143. Listed 24 Feb 2011. L351 is located under E-M183. Listed 24 Feb 2011. L372 is located under E-U174. Listed 11 Sep 2011. L609 and L611 are located at approximately E-U209. L609 and L611 were found in a single individual and may be phylogenetically equivalent. Listed 22 Jun 2011. L631, L632 and L634 are located at approximately E-M44. L631, L632, and L634 were found in a single individual and may be phylogenetically equivalent. Listed 20 July 2011. L635, L636, L637 and L638 are located at approximately E-M33. L635, L636, L637, and L638 were found in a single individual and may be phylogenetically equivalent. Listed 20 July 2011. L649, L650, and L651 are located at approximately E-U290. L649, L650, and L651 were found in a single individual and may be phylogenetically equivalent. Listed 4 Aug 2011. L674, L675 and L677 are located at approximately E-V22. L674, L675, and L677 were found in a single individual and may be phylogenetically equivalent. Listed 23 Aug 2011. L788, L789, L790, L795 and L797 are located at approximately E-M84. L788, L789, L790, L795, and L797 were found in a single individual and may be phylogenetically equivalent. Listed 7 Oct 2011. L791, L792 and L793 are located at approximately E-M34. L791, L792 and L793 were found in a single individual and may be phylogenetically equivalent. 7 Oct 2011. Z1894 is located under E-Z1893. Listed 23 Oct 2011. Per the Trombetta et al. (2011) paper on haplogroup E1b1, "mutations M154 and M281 have been repositioned with respect to the previously published phylogeny; however, the possibility that M154 and M281 are recurrent mutations cannot be excluded." Additionally the previously published phylogeny included mutation L19, which was included in this paper using the designation V257. L19/V257 was also repositioned and as with the other two mutations the possibility that it is a recurrent mutation cannot be excluded. Due to a lack of positive control samples for E-V27 and E-P65, the positions of V27 and P65 are uncertain with respect to the positions of L17, L143, M35.2, L242, L250, L251, L252, and L540. The position of private SNP M35.2 is uncertain with respect to the positions of L241, L250, L251, L252, and L540. The location of L485 is uncertain with M116.2, M149, M155, M10, M66, M156, M195, P268, and P269. SNPs P46 and P211 are not private but their positions are uncertain. They are located approximately between E-M2 and E-M180. Y-DNA haplogroup E would appear to have arisen in Northeast Africa based on the concentration and variety of E subclades in that area today. But the fact that Haplogroup E is closely linked with Haplogroup D, which is not found in Africa, leaves open the possibility that E first arose in the Near or Middle East and was subsequently carried into Africa by a back migration.E1b1 is by far the lineage of greatest geographical distribution. It has two important sub-lineages, E1b1a and E1b1b. E1b1a is an African lineage that probably expanded from northern African to sub-Saharan and equatorial Africa with the Bantu agricultural expansion. E1b1a is the most common lineage among African Americans. E1b1b1 probably evolved either in Northeast Africa or the Near East and then expanded to the west--both north and south of the Mediterranean Sea. E1b1b1 clusters are seen today in Western Europe, Southeast Europe, the Near East, Northeast Africa and Northwest Africa. The Cruciani articles (references and links below) are indispensable resources for understanding the structure of this complicated haplogroup, but note that the Cruciani haplogroup labels are now superseded because of the recently discovered new SNPS that lie closer to the root of the E branch of the Y-haplogroup Tree. Repping et al, High mutation rates have driven extensive structural polymorphism among human Y chromosomes. Nature Genetics 38, 463 - 467, 2006. Trombetta et al, A New Topology of the Human Y Chromosome Haplogroup E1b1 (E-P2) Revealed through the Use of Newly Characterized Binary Polymorphisms. PLoS ONE 6(1), Online, 2011. E1a - (M33, M132) Project. Haplogroup E1b1a (E1b1a1-M2), Roberta Estes. The African DNA Project (E1b1a), Dr. Ana Oquendo Pabon. Arabian E Y-DNA Project (E1b1). E-M35 Project (formerly the E3b Project) (E1b1b1), Bill Harvey, Denis Savard, Victor Villarreal. E-M35 Project - New SNP Tracker. The E-M35 Phylogeny Project, Victor Villareal. Double Helix Forums, E-M35 community. Added Trombetta et al on 10 February 2011. M148, M281 and M290 are no longer considered private on 10 February 2011. Added Page47 on 18 February 2011. Added .1 to M35 in E1b1b1; L17 no longer considered private on 24 February 2011. Added L99, L117, L142.1, L143, L241, L250, L251, L252, L335, L336, L337, L339, L351, M35.2. Page15 on 24 February 2011. Changed contact person from Victor Villarreal to David Reynolds on 25 February 2011. Removed L66 and L67 from tree; relationship to V65 is uncertain on 6 March 2011. Added L222.1 and Page73, moved L339 to different subclade, and moved L336 from private to a subclade on tree on 8 March 2011. Added M35.2 to the tree on 11 March 2011. Added additional haplogroup projects under Additional Resources on 22 March 2011. Added information from the Trobetta et al (2011) paper to Notes on 23 March 2011. Added Rozen et al (2009) on 24 March 2011. Added Page33, Page40, Page54, Page74 on 1 April 2011. Removed comment "L18 position relative to M521 is uncertain" on 3 April 2011. Added Adams et al (2008) on 6 May 2011. Added King et al (2011) on 16 May 2011. Added el Sibai et al (2009) on 31 May 2011. Added DYS643-null on 6 July 2011. Added two more Notes and added L540 on 10 June 2011. Added extensions such as _1, _2, _3 to snps with multiple y-positions on 4 August 2011. 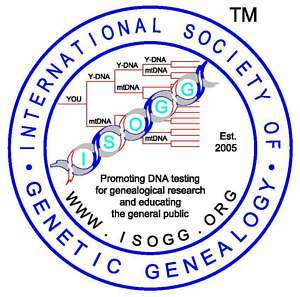 Added Aaron R. Brown as a contact person for Haplogroup E on 6 August 2011. Moved L335 and M310 and put L351 in Private SNPs on 31 August 2011. Added notes on L609, L611, L649, L650, L651, L674, L675 and L677 on 31 August 2011. Added L86.1, L485, L514, L515, L516, L517, L576, M263.2 on 4 September 2011. Added L633; added L372 to Private SNPs; added notes on L631, L632, L634, L635, L636, L637 on 11 September 2011. Added Z1893 to Private SNPs on 3 October 2011. Added L504, L507, L511, L537, L542, L614, L788, L789, L790, L791, L792, L793, L795, L797 on 13 October 2011. Created the category of SNPs under Investigation and added Z 1894, moved Z1893 from Private SNPs to tree on 23 Oct 2011. Added E-M35 Project - New SNP Tracker on 24 October 2011. Added M291, Z1111, Z1132 on 13 November 2011. Added L856 on 20 November 2011. Contact Person for Haplogroup E: Aaron R. Brown.